We now have free high speed WiFi in all our bedrooms. As a keen golfer off a handicap of 15, I can confidently recommend a number of the courses locally. If you’re interested we may be able to arrange golf at a number of courses, you simply need to let us know your needs and we can then look into availability, please send details to info@paxhavenbandb.co.uk. We can accommodate up to 4 golfers in our B&B in either double or twin rooms. The wonderfully scenic Thurlestone, just 12 minutes away. 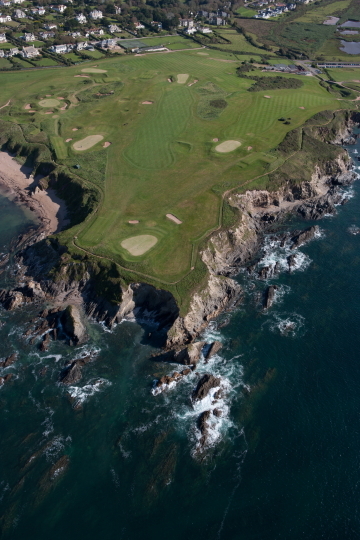 The course runs along the stunning coastline of Bigbury Bay, is a mix of links and cliff-top terrain with the latter providing breath-taking views of the legendary Thurlestone Rock to the East and the beautiful Avon Estuary and Burgh Island to the West. The 6,230 yard par 71 is an enjoyable challenge to golfers of all levels (particularly if it’s windy). 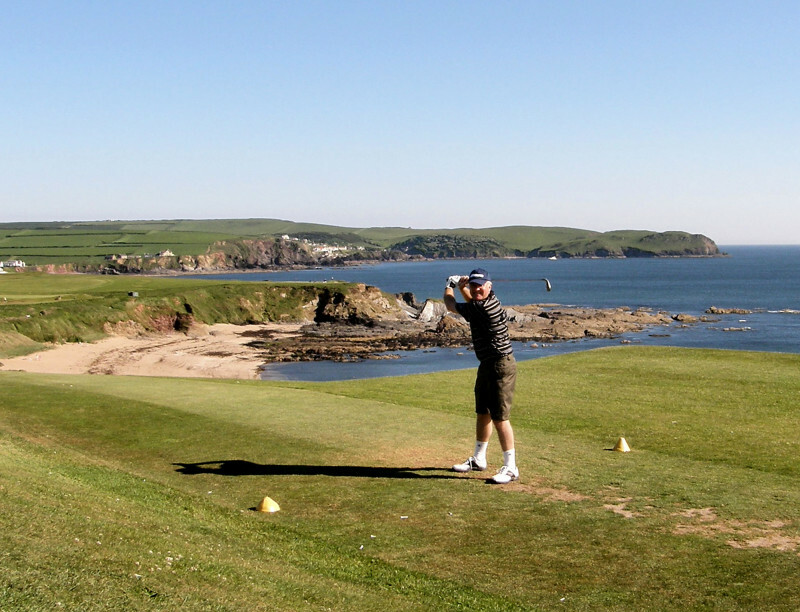 Bigbury is a lovely cliff-top golf course just 25 minutes or so away. It offers challenging; yet forgiving coastal golf of some 6000-yards and is a very fair par-70. There are stunning views in all directions: Dartmoor to the north, Burgh Island to the west and on the eastern flank, Bantham Beach and the winding River Avon. Again sea breezes can make it interesting and different every time.